Hussein Hegazi was something of a sensation in South London throughout the 1911-12 season. Brilliant at centre forward or inside right, Hegazi made national headline news when he left amateurs Dulwich Hamlet for professionals Fulham only to return after one game in black and white. The following season, 1912-13, Hussein Hegazi signed amateur forms for Southern League 2nd Division outfit Millwall Athletic and played two games for them. 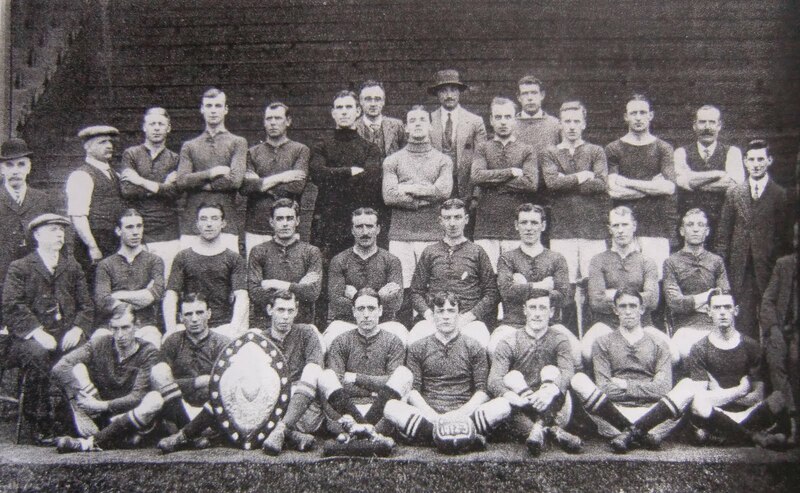 The first – away to Croydon Common on Wednesday 11th September 1912 – saw Millwall lose 3-1. This match actually preceded Dulwich Hamlet’s opening fixture by a few days. Hegazi did not play in the Hamlet game on the 14th. His first appearance that season was in the ‘opening of the new Champion Hill ground’ on 21st September 1912. On Thursday 3rd October Hegazi made his second and final appearance for Millwall in a Southern League Alliance game. Although it was so early in the season apparently the south Londoners had to play five matches in five days, and for the home game versus Cardiff City, they fielded only one regular player among the eleven - the goalkeeper, Spendiff. The average Lions fan coming through the turnstile at the Den must have felt cheated at the large number of reserves on display, and who was this strange foreigner at centre forward? The London newspapers, championing the grievance of the home supporters, condemned Millwall’s action, and despite Cardiff’s 3-2 victory, the South Wales Echo echoed with, “Millwall flagrantly broke the Alliance rule which says that the club shall play at least seven of the players that took part in the previous Southern League match.” Whether this small storm of protest upset Hegazi we do not know, but every time he tried his luck with the professionals he seemed to court controversy. It wasn’t his fault; he just wanted to enjoy his football. He didn’t play for Millwall again - in fact, apart from County and representative games, he stuck it out with Dulwich Hamlet. Fortune had it that Hussein Hegazi’s tenuous link with Millwall saw him find a place in the team photograph of that year. Hegazi can be seen in the back row wearing a hat and jacket. For the record the Millwall team v Cardiff City were: Spendiff, Jamieson, Woodley, Frost, Hawkins, Butterworth, Dilly, Quinn, Hegazi, Taylor, Grimbridge. Hussein Hegazi was born into the family of a wealthy rural aristocrat in Kremlah in the Sharkeya Province of Egypt in 1891. His father spoilt the youngster, who was given virtually everything he asked for. His leather football was probably acquired from one of the British soldiers stationed in Egypt in the mid 1890s. Hussein was rarely seen without his ball, and quickly developed skills and confidence. Accuracy in shooting, chipping and passing the ball was developed in a very unusual, let alone costly way. As the peasant women walked through the village the young Hegazi would aim his shots at the large valuable jars they carried on their heads. The peasant women were used to the routine: the ball would fly over, the jar would come crashing to the ground, and the woman would go to Mrs Hegazi for apologies and compensation. His athletic prowess was not just confined to football. A frequent sight in the village was Hussein Hegazi sprinting towards a water buffalo, owned by the villagers, and leaping over the creatures. This improved his high jump skills no end. Athletics, particularly track events, also appealed to the youngster, and during his early teens his lightning pace helped him win many schoolboy events. Football pitches are not the same the world over. The beautiful game has always been played on grass, clay, sand, tarmac, and in England during long spells of bad weather on a bog. Hussein Hegazi, like most of us, favoured the truer surfaces. He also liked to feel the ball, and rather than the awkward boots of the Englishman, he preferred to play in soft shoes. I get the impression they were, what we would describe as ‘desert boots’, suede uppers with a crepe sole. Maybe he had them specially made like Stanley Matthews who employed the finest Italian cobblers with the finest Italian leather. The reports we have suggest he found it difficult to keep his footing in wet conditions, suggesting these soft shoes were without studs. However, one photograph clearly shows Hegazi wearing studded boots. Hegazi made his name at Dulwich Hamlet in the three seasons prior to the First World War. He was a member of the Dulwich team that beat Ajax in Amsterdam in 1913, and he also assisted London and won a Cambridge ‘blue’. If Hussein Hegazi had stayed in England for the duration of the war he would undoubtedly have been part of the great Corinthian side of the 1920s. Instead he headed home before the hostilities began. On his return to Egypt in 1914 he rejoined his old club Ahly, (recently voted Africa’s team of the twentieth century) where he went on to became one of the most popular players of his day. 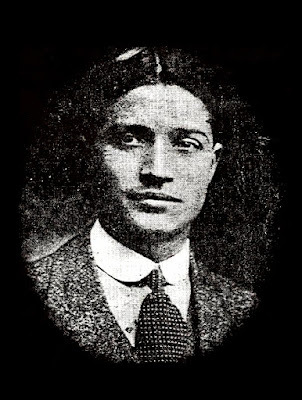 He won a number of caps for the Egyptian national team, and was involved in three Olympic Games competitions in the 1920s. 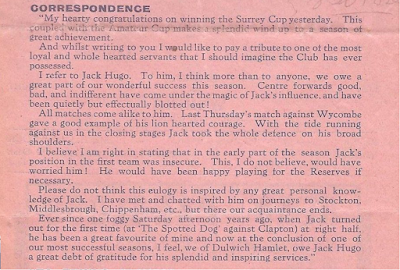 Dulwich Hamlet defender Jack Hugo was one of the club's most popular players from the 1930s. 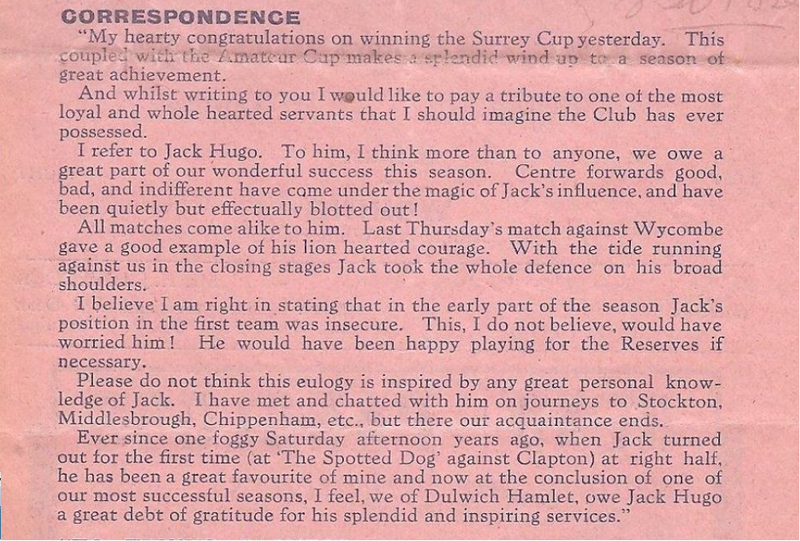 This testimony from a 1937 Dulwich Hamlet matchday programme.